Naltrexone is one of several new medications (the others are topirimate and acamprosate) that has been shown to reduce the risk of relapse in people with alcohol use disorders. But naltrexone is used relatively rarely for this purpose. A new study suggests that it may be possible to predict which patients are especially likely to respond to naltrexone treatment. The study found that craving sweets and craving for alcohol were both independent predictors of responding well to taking naltrexone. Those with both traits were much more likely to be successful when using naltrexone. Craving in general seems to be linked to the endogenous opioid / dopamine system that is part of what drives alcoholics to relapse when they try to stop drinking. And so it makes intuitive sense that both of these traits would predict response to naltrexone, which blocks the endogenous opioid’s activation of dopamine release. One problem that some of our patients have noticed when taking oral naltrexone (Revia) is that it has a relatively short half life. So if they aren’t very motivated to take the medication every day the effect is quickly lost. For this reason, some people find a long-acting injectable form of naltrexone known as Vivitrol to be helpful. 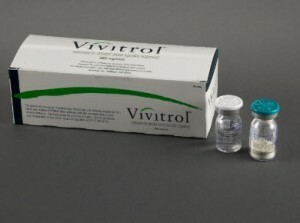 We can order Vivitrol injection through a local dispensing pharmacy called ScriptSite pharmacy. ScriptSite also has other useful tools including monthly pill containers that they can put together for people who are having trouble remembering to take their medications.